The statement by the health ministercame amid relentless demands from the opposition parties to know whether the Chief Minister was fit enough to govern. The state government had hitherto been dodging persistent queries on Mr Parrikar's illness. 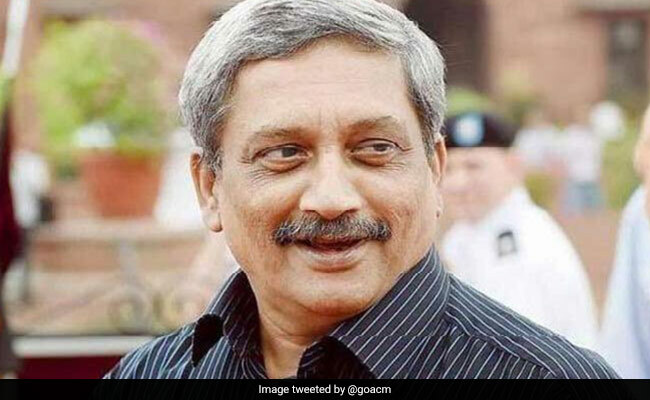 Months after both the Goa BJP and the state administration refused to disclose Chief Minister Manohar Parrikar's ailment, state Health Minister Vishwajit Rane on Saturday said he was suffering from pancreatic cancer. The statement by the health minister came amid relentless demands from the opposition parties to know whether the Chief Minister was fit enough to govern. The state government had hitherto been dodging persistent queries on Mr Parrikar's illness. "He is the CM of Goa and the fact is that he is not well. He has got pancreatic cancer. There is no hiding of this fact," Mr Rane told reporters here, a day after the Congress gave the Bharatiya Janata Party-led coalition government four days to prove that Mr Parrikar was of "sound health and mind" and in a position to govern the state. "Let him be peaceful with his family. That much right he has, after serving the people of Goa, that if he wants to spend some quality time with his family, nobody has the business to ask...," Mr Rane said. Mr Parrikar, who is currently being treated for advanced pancreatic cancer, has been in an out of hospitals in Goa, Mumbai, New York and Delhi. Mr Parrikar has not had a single public appearance since his return from Delhi's All India Institute of Medical Sciences on October 14 and is currently bedridden at his private residence, which party sources said has been converted into a sophisticated medical facility, with doctors and para-medical staff on 24-hour duty. Mr Rane also slammed the Congress for playing politics over the ailing Chief Minister's health, saying if the Congress wanted to go to court to learn of Mr Parrikar's health condition, it was free to do so.